Take advantage of limited time ARA special show pricing February 19th through April 30th, 2018. Set the tone and get the perfect fit for your needs. 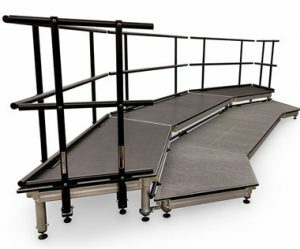 Our new versatile, patent pending, TechLite™ Portable Stage & Riser System is lightweight and easy to assemble and disassemble without any tools. Available in adjustable or fixed heights. Contact us today to take advantage of these savings! Special show pricing good in North America only from February 19th through April 30th, 2018. Not valid on previous orders.